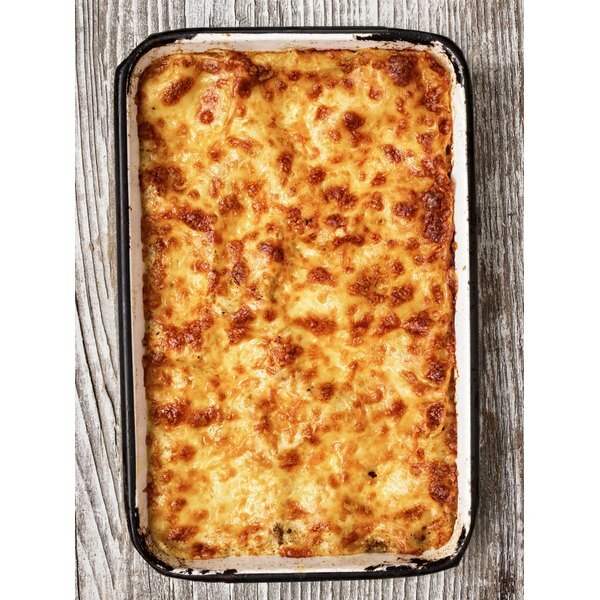 Cheese lasagna is often prepared with more that one type of cheese. Cheese lasagna is a classic Italian dish made with large, flat pasta noodles layered with cheeses and tomato sauce. High in both fats and carbohydrates, cheese lasagna is also high in calories per serving. The U.S. Department of Agriculture Nutrient Database indicates that a typical serving of cheese lasagna has approximately 325 calories. Around 144 calories come from fats, while carbohydrates offer 117 calories and proteins provide 64 calories per serving. A typical serving of cheese lasagna can provide just over 12 percent of the daily recommended intake of calories for the average adult. This percentage is calculated using a typical diet of 2,000 calories per day. The USDA also indicates that a serving of cheese lasagna weighs 243 g. Of that quantity, 34 g are carbohydrates, 16 g of protein and 13 g of fat. Indigestible matter, other nutrients and water make up the remaining portion. 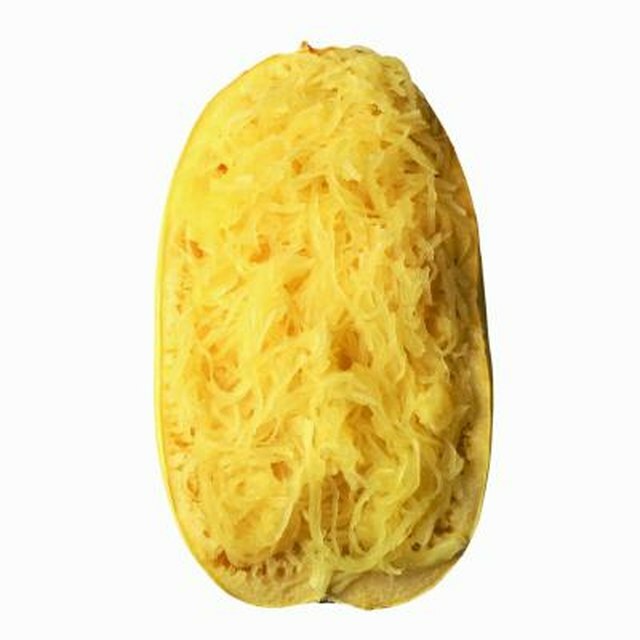 Cheese lasagna also provides several important vitamins including vitamins B12, C, E and K, thiamin, riboflavin, niacin and folate. Dietary minerals within cheese lasagna include calcium, iron, magnesium, phosphorus, potassium, sodium, zinc, copper, manganese and selenium.